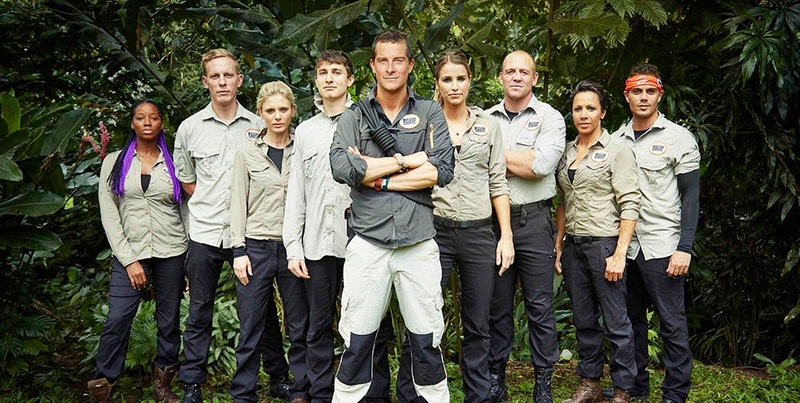 ITV have announced the eight celebrities who'll be braving the Central American rainforests for new six-part series Bear Grylls' Mission Survive. The famous faces include Silent Witness star Emilia Fox and her cousin, fellow actor Laurence Fox. They'll be joined by Former England International Rugby Player Mike Tindall, who's currently featuring in Channel 4's reality show The Jump. Also featuring in the programme will be Plebs and Friday Night Dinner actor Tom Rosenthal, The Wanted's Max George and double Olympic-champion Dame Kelly Holmes. Rounding out the line-up are TV Presenter and singer Jamelia and DJ and model Vogue Williams. These eight form a celebrity expedition team who'll be pushed to their physical and emotional limits. Issued daily mission briefings by Bear, they will have to navigate treacherous obstacles and journey through dangerous dense jungle, testing their ability to adapt, improvise and overcome in one of the world’s most hostile environments. Bear will guide the celebrities on their punishing assignments, sharing with them his expertise, mindset and skills. He will also be assisted on the ground by his much trusted right-hand colleagues, expedition and survival experts Megan Hine and Scott Heffield.